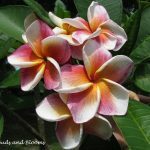 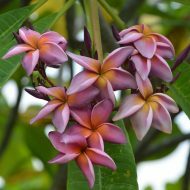 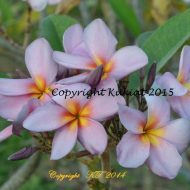 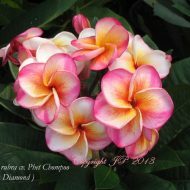 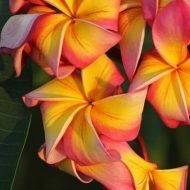 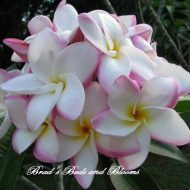 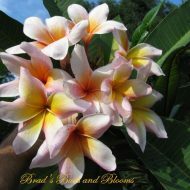 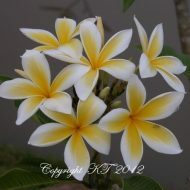 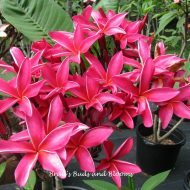 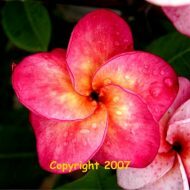 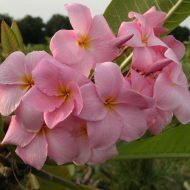 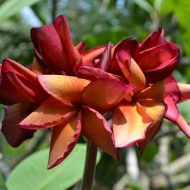 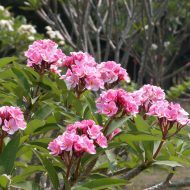 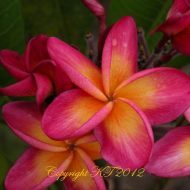 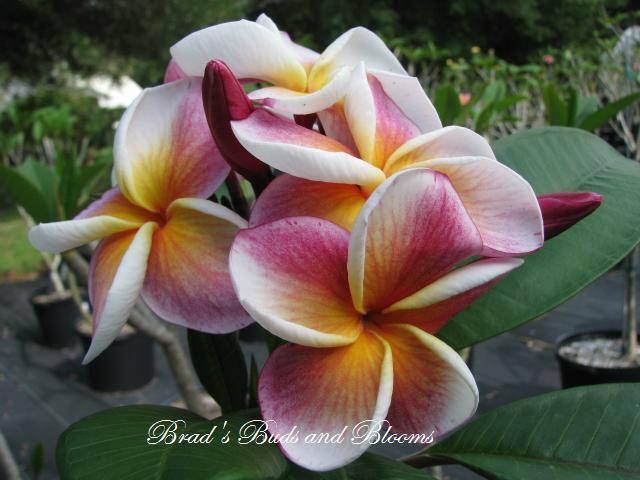 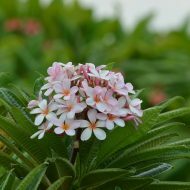 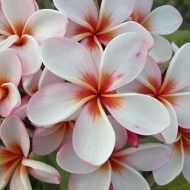 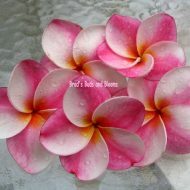 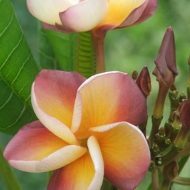 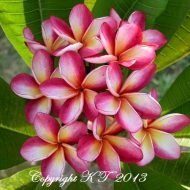 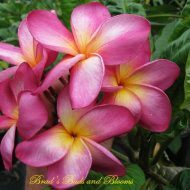 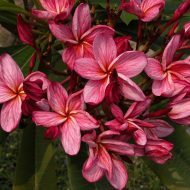 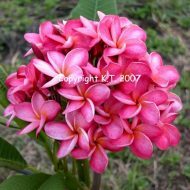 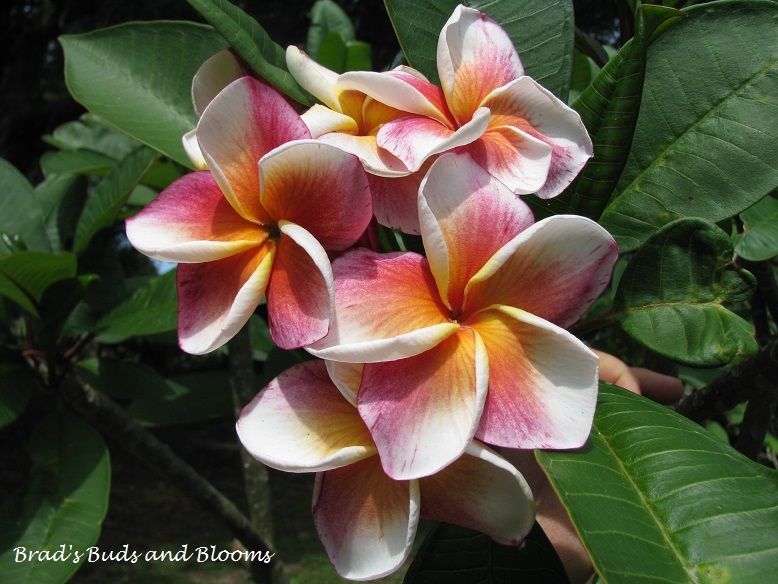 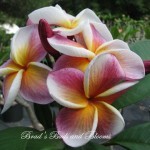 This unique and stuning Thai plumeria produces 3″, uniquely colored flowers with a heavy texture. 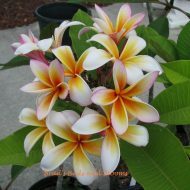 The petals are heavily overlapping, with white, purple, and golden-brown; turning to orange at center. 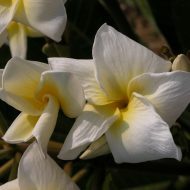 The fragrance is a lovely medium sweet. 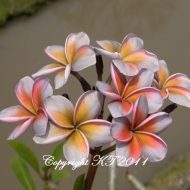 The unique coloration of this plumeria really makes this a special addition to any collection! 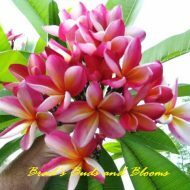 ROOTED Plants–NOT Grafted—9-12″ from the soil line..